The HTC One smartphone is one of the most notable releases so far this year and a true competitor for the Samsung Galaxy S4 that is due to start releasing worldwide in a few days. The HTC One has just arrive stateside after an earlier release in other regions such as the UK and Canada and today we have details of a RadioShack deal for the phone that could snag you a Google Play $50 freebie. A few days ago we told how T-Mobile was offering a free car dock with purchases of the HTC One but the phone is also available through other outlets than the major carriers. RadioShack has now posted details of its HTC One price on AT&T or Sprint. If you purchase the device on either of those carriers from RadioShack by June 1, you’ll receive a $50 Google Play credit so that you have plenty of content to start you off with such as new apps, music, books etc. To qualify for that offer you’ll need to pay $199.99 at RadioShack locations with a qualifying two-year contract and RadioShack also offers 24/7 Mobile Product Support free of charge. That $199.99 price is for the 32GB model with Google Play freebie. There’s also a Trade and Save program whereby trading in can get you as much as $300 credit towards a new device and accessories. As a quick reminder we’ll tell you that the HTC One is powered by a 1.7GHz Qualcomm Snapdragon 600 quad-core processor, has a 4.7-inch Super LCD3 display with resolution of 1920 x 1080, 2GB of RAM and 32 or 64GB of internal storage, non-expandable. It also has a 4-megapixel UltraPixel camera and a 2.1-megapixel front-facing camera and runs on Android 4.1.2 Jelly Bean, upgradable to 4.2.2. 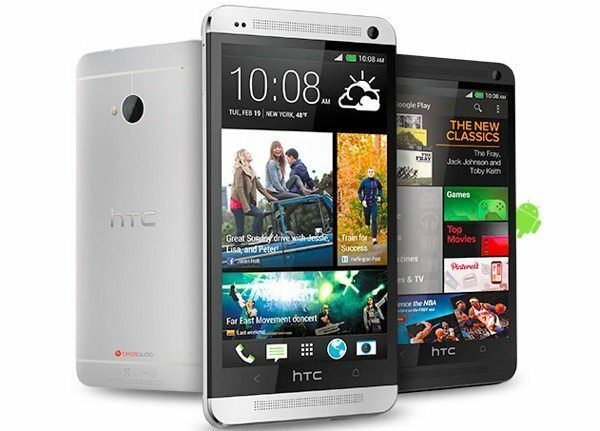 You can see more about this tempting HTC One deal at RadioShack here. Are you interested in the HTC One and if so might you take advantage of this RadioShack offer? Send your comments to let us know.